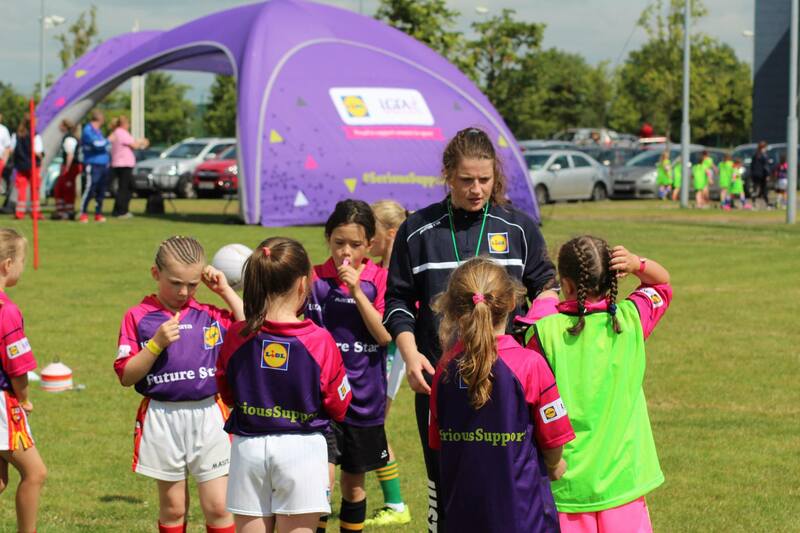 On Sunday last Lidl in conjunction with Ladies Gaelic Football hosted a Future Stars Day in Mallow Sports Complex. This was a hugely successful event with over 150 girls, aged between 8 and 12 years, in attendance. The day involved talks from players, skill sessions with County players and a blitz to display their perfected skills. Well done to all the participants who travelled from Tipperary to the event. The parents/guardians who travelled on the day were invited to the Lidl Café which was at pitch side and they met the ambassadors of the Sport and experienced interactive food demonstrations. Tipperary Ladies Football would like to thank the County Intermediate players; Gillian O'Brien, Roisin Howard and Caoimhe Condon who gave up their day to attend the event. Tipperary Ladies Football are working hard at their own development with development squads currently operating for our Under 13 and Under 17 Ladies Footballers.